As wonderful as books are, I have a love-hate relationship with them on a bike tour. I wouldn’t be without a book in the tent at night, but at the same time books fill my panniers and literally weigh me down. The Amazon Kindle Paperwhite features a new display with higher contrast, higher resolution, and an LED lighting system to Amazon says simulates ambient lighting. The 3G model includes free access to Amazon’s Whispersync service. The Amazon Kindle Keyboard 3G e-reader touts up to 3 weeks of battery life with Wi-Fi, has access to the Amazon Kindle store, and weighs only a half of a pound. 3G data provided by AT&T. 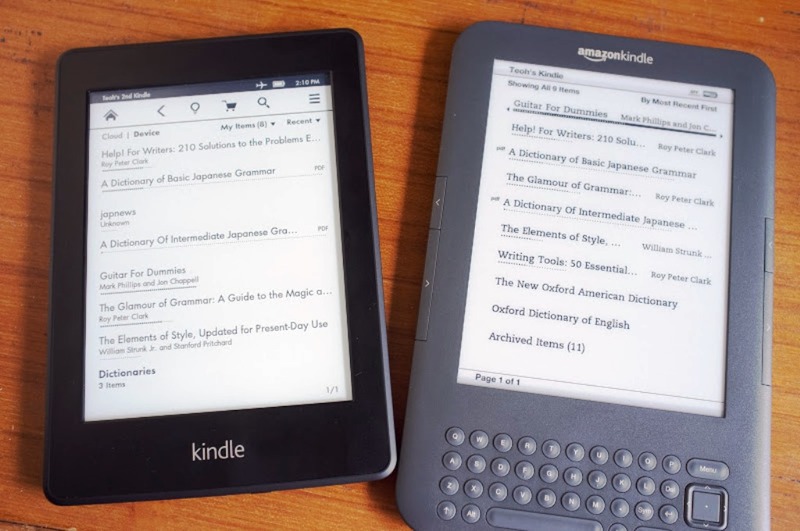 The Kindle Keyboard was discontinued by Amazon in 2013. Reading books in rain, shine, dark, cold or warm. We recommend buying these for entertainment. They’re light and small and a great tool to have.